So good to see serious people taking this Sport in a serious manner. To get two of the best drivers in the persons of Gordon Gonsalves and jimmy Fifi, taking their time on a Sunday and giving off of their knowledge and experience to the younger drivers is the way to go. And hopefully this will also redound to safer drivers on our roads. We have to do all we can to support the TTPS in their IRoadsafe Road Safety drive for a safer motoring public. Will forever support those with honesty, integrity, who show a true sense of respect for all involved. Location: Does this rag smell like chloroform to you? Congrats to CARS for successfully staging their BYCC today 2nd Feb. at ARC Car Park, the biggest Motor Sport facility in T&T in this year 2014. Even more stunning was the great turnout with so many participants. And even more stunning that that was the amount of Police Vehicles that Passed, Parked, Patrolled, Peeked and even Pulled up at the gate to inquire how things were going. By the Grace of God those with a true love for Motor Sport will Prevail. Good Job guys , Glad to see your event ran smooth with no hiccups. Great event. The driving school was spectacular! Was a great day today. We should all be very appreciative of all involved and those who made the extra effort to assist in the activities today. pete wrote: Who was the insurance received from? If the above is true I think I'll be switching insurance this year. Maybe even get my company to switch from ggil as well. 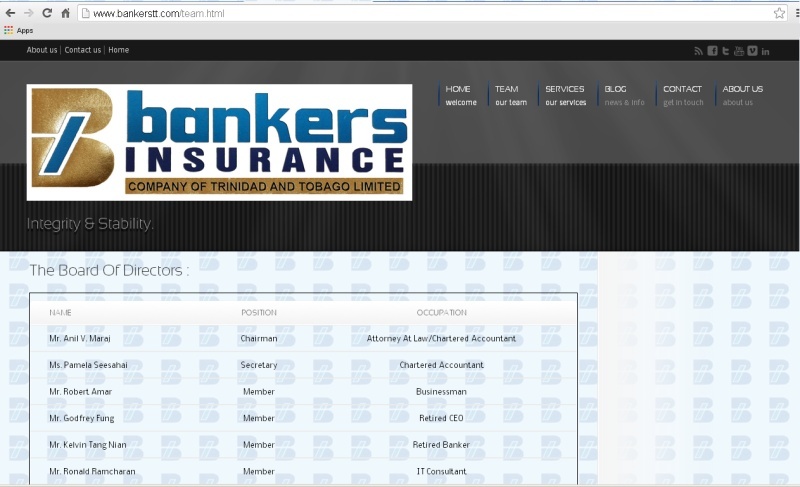 Bankers Insurance. Was advised to take a look here. I for one, had fun today....wish more would have come out to support, but some I spoke to thought that the event was cancelled. Oh how we all wish for this "storm" to pass. We could do with some calm....let Motorsport happen, breath, live....thrive. So no representative from the governing body to this important event? Go back and read my last post, they were passing up an down on the outside! dragaholic wrote: So no representative from the governing body to this important event? Congrats to Cars on the first mischief free interrupted Motorsport event for 2014, and all that turned out in support and contributed to a best day. As the quote reads, no support from the Governing Body that is charged with the responsibility of Motorsport development in T&T, but rudely expect the support from all the rest, they continue to be a shining example of disappointment and failure. I really have to say a special thanks to Mr. Gordon Gonsalves, Mr. Jimi Fifi and Mr. Richard Knox for their very kind support in making this happen. You three gentlemen are legends in my mind and just your presence at the event boosted the morale of all motor racing enthusiasts in T&T. We hope that this is a sign of things to come in the future. Mr. Mc Lean for pulling us out big time at the last minute. Its at events like this that you really know who are the people that genuinely have the interest of motorsports at heart. And thanks to all the participants for coming out and making the day successful. Hey Rawle, is there a way to be put on a mailing list or something so that i can stay up to date on events and such? ditto on a great day of practice and learning. looking forward to more uninterrupted motorsport events at ARC this year. locorolla wrote: Hey Rawle, is there a way to be put on a mailing list or something so that i can stay up to date on events and such? For CARS events, email carstt@gmail.com with name, could include your tuner alias as well, with the subject "Dexers mailing list" to be emailed our events. there is also a website http://www.carstt.com which is going to be overhauled. hopefully before the 1st event in march. NB. that event would be either the March 9th or 16th. There is a clash with TTKA which was bought to their president's attention, and we're still waiting on the resolution. Glad to have made it to the event. Thank you CARS for throwing a fun filled day of action and helping everyone in bettering there driving! thanks for the info., just e-mailed the contact info. is there something similar for D&W events or is it included in the same e-mail? locorolla wrote: is there something similar for D&W events or is it included in the same e-mail? for D&W, i see in on Fb as an event created by https://www.facebook.com/Midnight.Demon?fref=ts or as a thread here on trinituner. ^^ Hangovers are not considered "health issues". Blue thanks for the pic pal. Event was real fun, found some new bugs in the car and will sort them our by march event. Thanks CARS for a fun day, and that driving school was really informative. Also the instructors was really friendly and enjoyed sharing their knowledge. These very experienced and competent guys have been always willing to share their knowledge to the younger racers. They were also part of the TT Motorsport Federation which spent hundreds of thousands of dollars on improving the Circuit before they were also given the boot.. and by whom? They were actually told to provide 600 tyres for tyre barriers.. and ALL the tyres must be the identical size! Todays experiences will not make good reading when the history of Racing in T&T is written. And names will be written. And we still wonder why T&T is at the bottom of the heap in Motor Sport in the Caribbean.